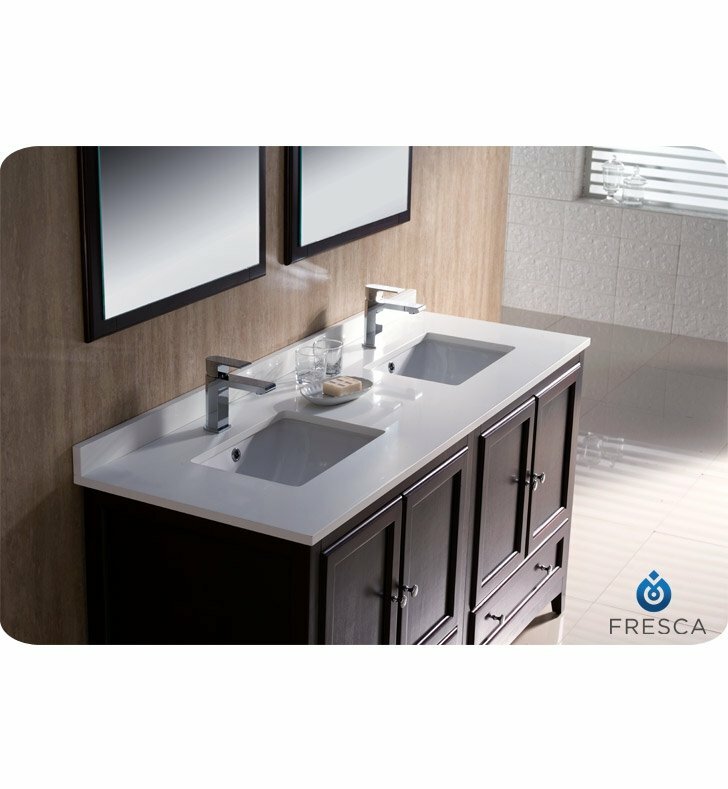 Whether you're looking to accommodate a growing family or you're simply interested in furnishing a cozy his and hers bathroom, the Fresca Oxford 60" Traditional Double Sink Bathroom Vanity is the product for you. The unique double sink design is ideal for accommodating multiple people in a single space without forcing everyone to crowd around a single faucet. 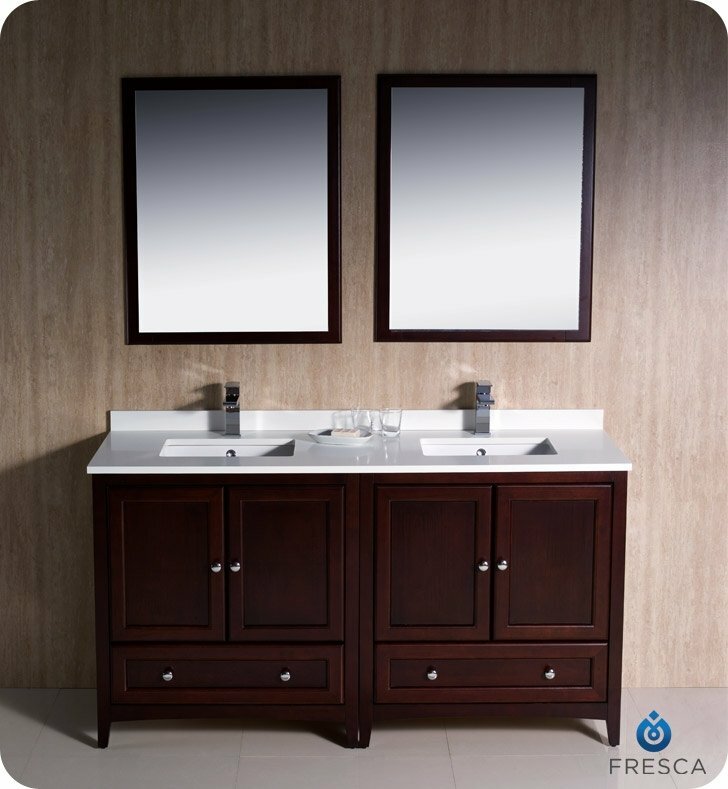 Even better, the clean, classic construction of this Fresca vanity means it can easily mesh with traditional, modern and contemporary decor schemes. 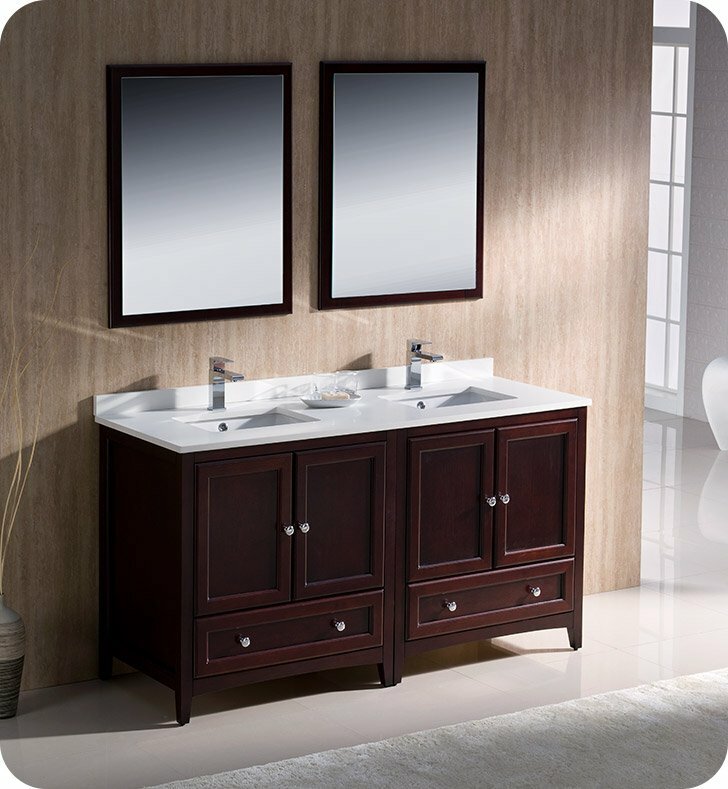 You'll enjoy the unmistakably beautiful mahogany color, which blends with a multitude of design schemes. 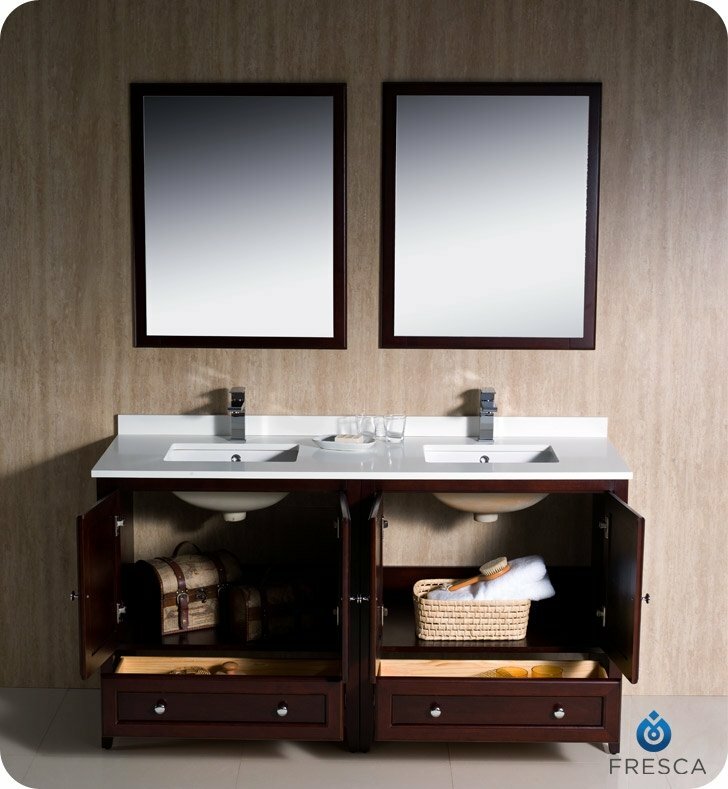 As for the practical elements of the vanity, you're sure to love the sheer number of storage solutions built into the solid wood frame. Two sets of cabinet doors and dovetail drawers allow multiple users to hide their toiletries away. 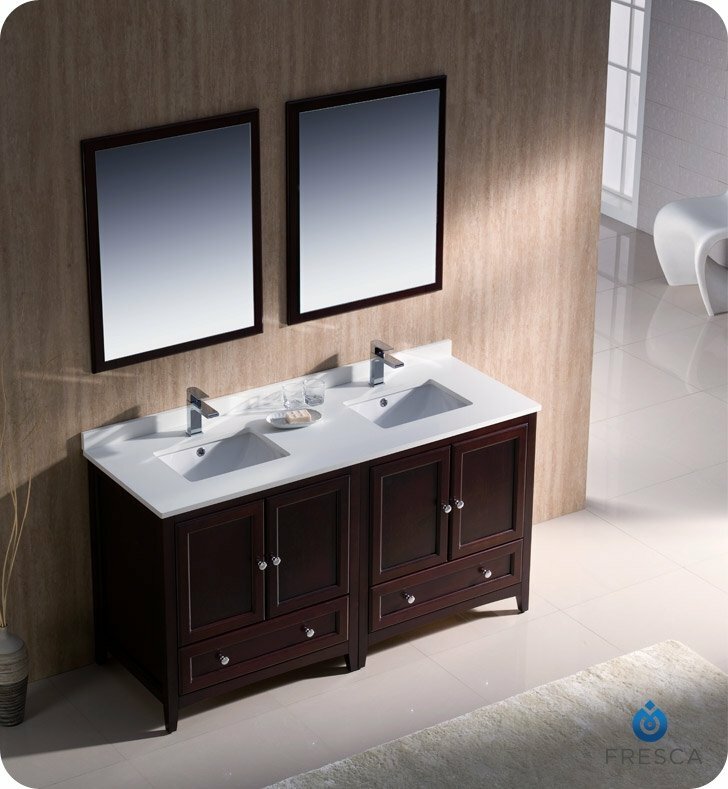 The vanity also features an incredibly sturdy and thick quartz countertop that's available in white or brown finish. A beautiful backsplash also accompanies the countertop. Last but certainly not least, a gorgeous contemporary mirror hangs above the vanity, unifying the overall appeal of the furnishing with its simple and elegant design. An undermount sink, available in white or bone finish, then ties the entire piece together. 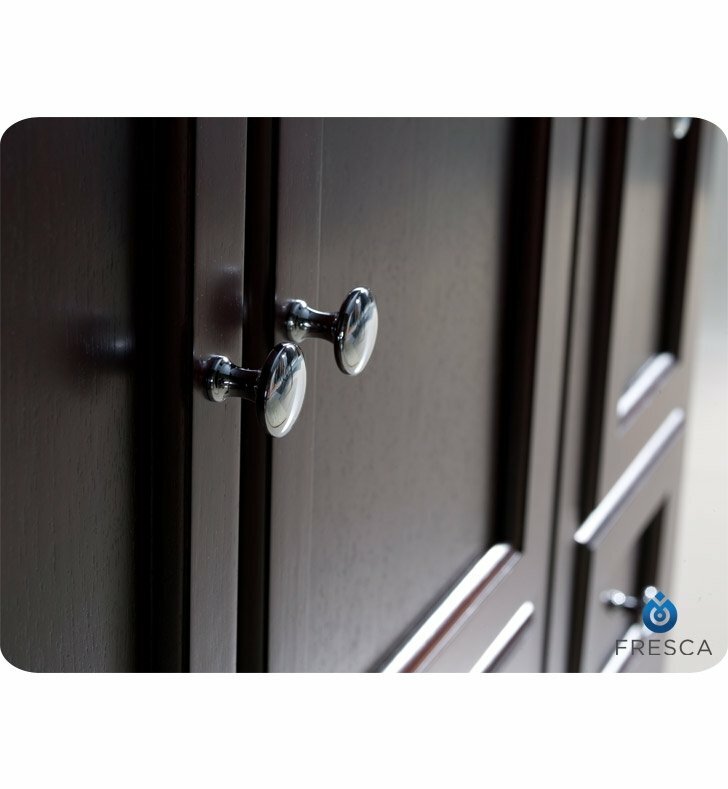 The Fresca Oxford Vanity also is available in many different finishes and configurations.